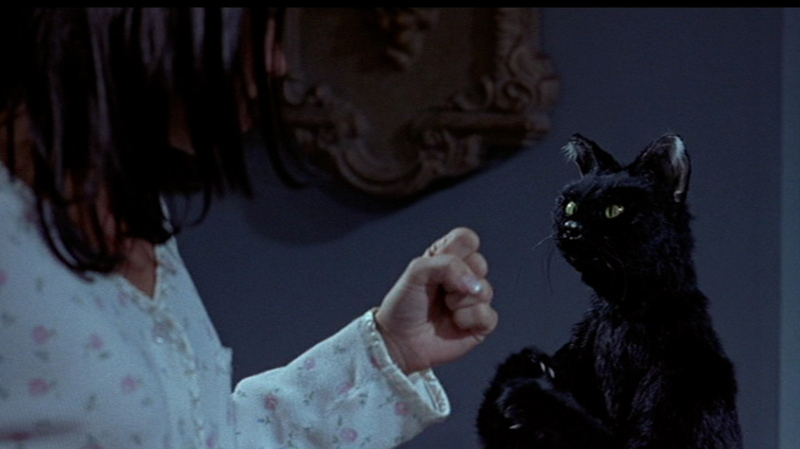 The cat (which is replaced by a non-realistic cat puppet) starts off attacking Cindy with teeth and claws, but then switches to a broken bottle, breaks a chair over her head, and kicks her in the groin. The fight turns into a parody of Jake LaMotta vs Sugar Ray Robinson in Raging Bull, complete with super slo-mo punching, and Cindy is finally knocked out. Anna Faris is game for anything, and a class act, as always. But none of this is as funny as it sounds. 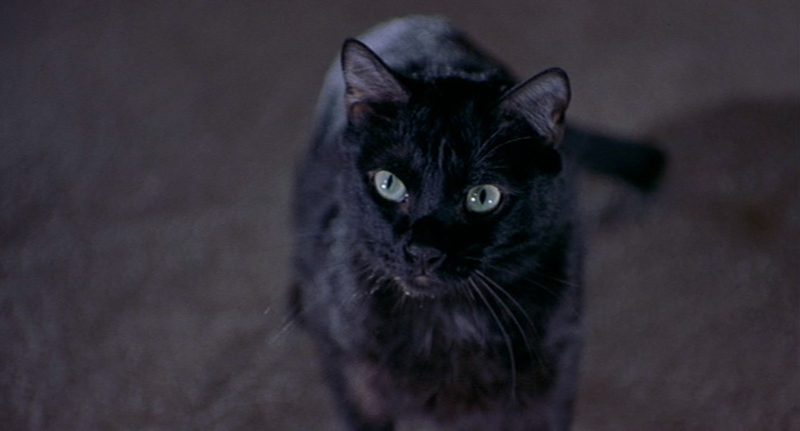 This entry was posted in Black Cat, Catzilla and tagged Scary Movie 2. Bookmark the permalink.